If you are loving the Backstreet Boys collaboration and newfound “brotherhood” with the boys of Florida Georgia Line, you are not alone… and you’re in for a treat this upcoming month (and weekend). After killing it at Fenway earlier this month, the Boys will rejoin FGL, Chris Lane, and Nelly on the Smooth stadium tour this upcoming Saturday for a sold out show in Minneapolis, MN. If you weren’t lucky enough to snag tickets / VIP (or want to keep your Backstreet buzz a little longer), there’s always the afterparty. We can’t think of a better way to end your night. Get your tickets now before they’re gone! The Smooth tour fun will continue into Chicago on August 12th before the two bands commemorate their venture together on film on CMT Crossroads. “Being such fans of each other, this is a really fun way for us to put our mark on our songs,” the pop group’s Brian Littrell added. “It’s going to be a fun night with seven guys who really admire one another. I’m looking forward to what comes of it!” Read the rest of the details on the upcoming show here. 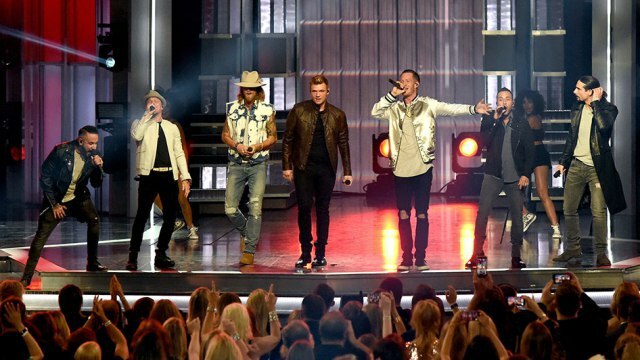 While the show isn’t airing until August 30th at 10/9c on CMT, Backstreet Boys Fan Club members are getting the exclusive chance to attend the CMT Crossroads taping next week. If you haven’t entered yet, what are you waiting for? The contest ends July 30th – enter now! Not a fan club member? You can join anytime right here.